March 27, 2019, Wednesday, 11:00 a.m. – 7:00 p.m.
March 28, 2019, Thursday, 9:00 a.m. - 7:00 p.m. This one-day exhibition is the curator’s approach to her generation’s memories about the 78-day military intervention in Serbia. On March 24, 1999 the North Atlantic Treaty Organization (NATO) started a military operation against the Federal Republic of Yugoslavia (FRY) as part of an effort to stop the ongoing conflict in Kosovo between the Serbian forces and the Kosovo Liberation Army (KLA). As this year marks the 20th anniversary of the intervention, it would be interesting to look into the memories that have since emerged from its heritage— the ones of the generation that was born in the early 1990s. 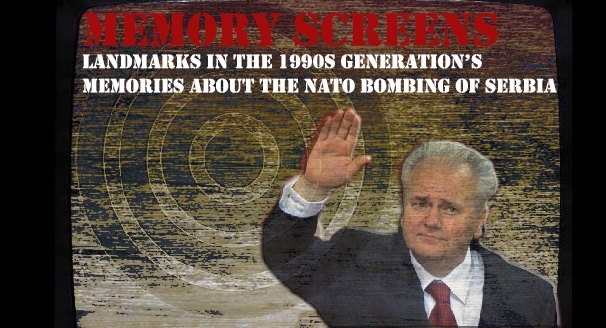 Through interviews with peers born between 1990 and 1996, the aim is to juxtapose the participants’ most vivid memories about the bombing with the official narrative offered by the state Radio-Television of Serbia (RTS).